Sort, view, edit and enjoy your Android videos on your PC with Contenta Video Browser. Many of us use our Android smartphones to take cool videos, and upload them onto YouTube or facebook to share them with the world. But we also want to keep some videos on our computers while freeing up space on our Android’s memory card. With our Browser you can gather and organize all of your Android videos in one place along with the rest of your video collection. You can also extract clips and sound files, capture still images, browse, categorize, label and bookmark your Android videos. A fun Android smartphone feature just got better thanks to Contenta Video Browser. "I became utterly addicted to this program. A joy to use." "A very innovative solution. I have never seen anything like that before. Congratulations!" 1. Easy to use. You're done in just a few easy steps. 2. Very fast. Optimized for multi-core processors and uses native code when performance matters. 4. Innovative! Try it. It's worth it. 6. Free and great support by email. 8. Totally risk free. Evaluate it during 30 days. 9. 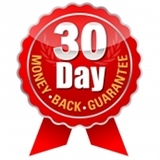 After purchase, you have a 30-day money back guarantee. Intelligent Thumbnail Technology for optimal video overviewing. The thumbnail representation is adaptive: more if there is a lot of action and less if nothing is going on.